If you celebrate Chinese New Year, you know: it’s almost the Year of the Monkey. And let’s make it the year of the sock monkey !!! 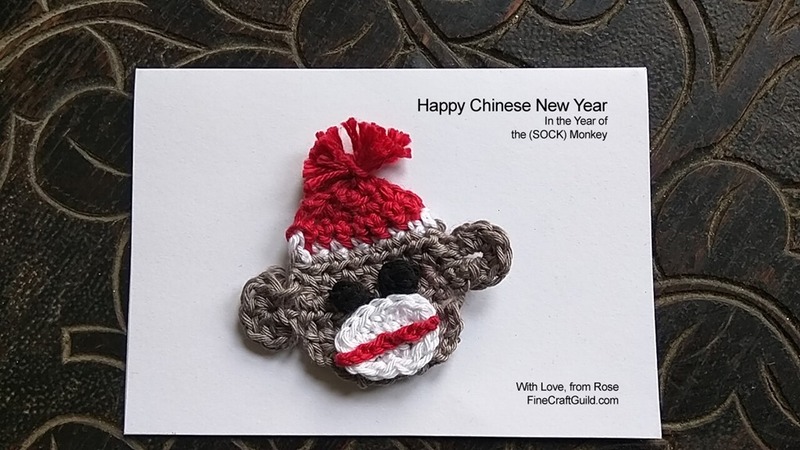 Yeah….One of my readers last week emailed me and asked if I could design an appliqué sock monkey crochet pattern for her as she thought it would be neat to send out sock monkey Chinese New Year cards. My golly: what a novel idea. Turns out, indeed there is absolutely no such pattern around on blog land. So, with some trial and error, I created a pattern for her. Here it is. Is this a cute sock monkey or what? I am really rather pleased. This Appliqué sock monkey crochet pattern is worked flat. 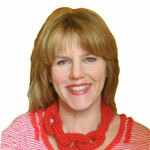 This allows you to attach it to a greeting card. 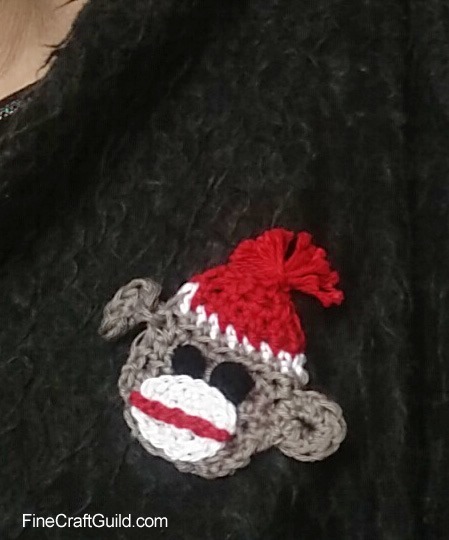 With a bit of felt behind it for extra structure plus a safety pin, this crochet sock monkey miniature becomes a fun seasonal brooch as well. Pin it on your hat, and off you go! 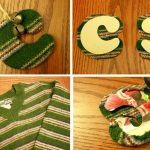 Or, add it to your mug cozy, or a tea cozy or appliqué it onto penholders for kids, or their mittens. These monkeys want to go anywhere. I know this is going to be an additive pattern. There’s something so whimsical about transforming a sock into something cute. Then, the sock monkey in that grey-brown, red and white coloring took a life on, all of his own. Now you can find sock monkey-anything. It just puts a smile on my face. Whether that’s because of my childhood memories of the sheer whimsy of sock monkeys, I don’t know. I guess, it does not matter. In the year of the monkey, the red monkey, that is the fire monkey, we won’t have a lot of time to dillydally. It’ll be all go-go-go. So, on that, without further ado, here’s the sock monkey crochet pattern. You’ll need just remnants of brown-grey, off-white, red, and black. A crochet hook that befits the yarn you’re using and a tapestry needle to work in the ends and to stitch on the eyes and ears. I am suggesting to use remnants to make this flat sock monkey crochet pattern. But if you must use ‘the best’, then this is the kind of yarn that I have used. Lion Brand Yarn 761-113 24-7 Cotton Yarn, Red You’ll need one skein in each used color, which will then make you many, many, many sock monkey appliques. 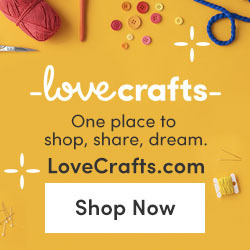 As well, it is certainly worthwhile to browse the yarn collection at Craftsy. 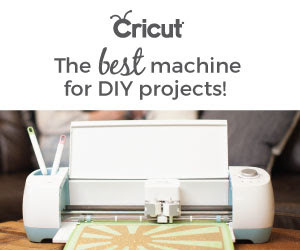 Here’s a link to their cotton yarn which I think is best for these kind of projects. They often have a sale on (and yes, that happens to be now!) …’warning’… this is quite the lollyshop. 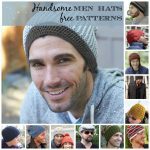 I ADORE their collection of premium yarns, so don’t be embarrassed/surprised if you’ll end up buying more than a few skeins for your sock monkey. 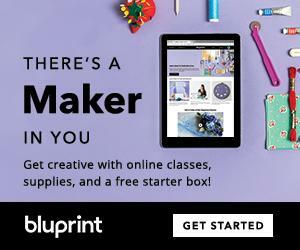 You’ll find real jewels here…. (wink). 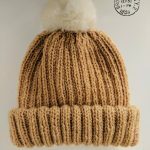 And heads up: their YARN SALES ends today (31 Jan at midnight). Click here for your Applique Sock Monkey Crochet Pattern. 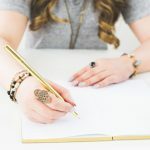 Instant downloadable pattern – only $1. I love contrasts, and I thought to also show you how great this applique will work on a bunch of different kind of materials. Here it is on a fluffy sweater and on leather. Both work well, don’t you think? Even though this is a small project, it’s not super-super fast to make (or at least not for the first one), as there are quite a few small elements. Nonetheless, you can probably make several in one evening, if you follow the pattern instructions. Very satisfying indeed. 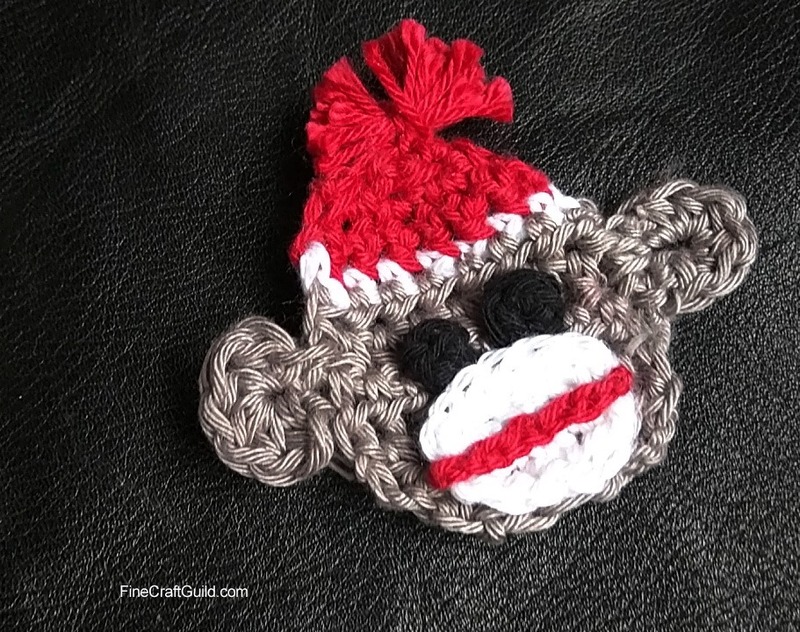 Miniature Sock Monkey Crochet Pattern to Embellish … just about Anything. Oh, my mind is running wild with ideas. 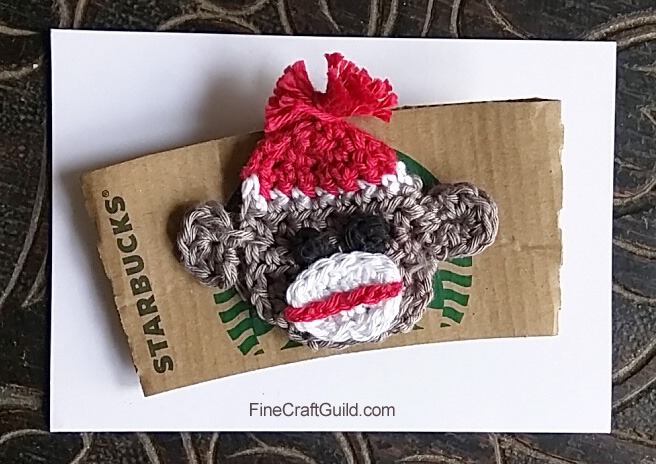 I am already scheming how to make another one in different colors and what kind of objects ( scarves, teapot and cup cozies) to pair the sock monkey applique with… See, it’s the perfect size to be the feature of a simple fabric, crochet or knit coffee cup cozy. OK. Enjoy the pattern. Leave me a comment below if you like it. For other patterns (such as this owl appliqué) by yours truly, see my ‘ pattern shop’. Love sock monkeys. This so great!! Thank you so much.